WTI crude prices rallied for a second day on the back of rising confidence that US economic growth is about to gather pace, which in turn is expected to heighten demand for oil. Crude climbed $0.81 to $98.68 and even looked like it might be ready to try and cross into triple digits. Gold investors threw in the towel after the Fed cut the pace of quantitative easing to $75 billion per month. As a result, the yellow metal crossed below the psychologically important $1,200 mark, ending the session $29.8 down at $1,188.1. The metal is now set for its first yearly decline since 2000 and is trading at its lowest level since 2010. The Fed's tapering feel good factor easily spilled over into the energy complex as confidence in a stronger US economy should bring increased demand for oil. As a result, WTI crude gained $0.35 to $97.86 per barrel, with the weekly inventories report also showing a slightly larger than expected draw in stockpiles. Forecasts of better days ahead for the US economy did not bode well for gold prices, which slumped by $12.5 to $1,218. And with fear of inflation almost forgotten, the technical outlook for the precious metal does not look encouraging at all, despite the steep fall we have already seen for the current year. As with most financial markets, the energy complex was on standby yesterday, mirroring the anaemic activity in equities ahead of the Fed's announcement. As a result, the price of US crude oil closed pretty much flat at $97.50 per barrel. Interestingly, crude investors will also be keeping a close eye on the weekly oil inventories which are due to be released a few hours ahead of tonight's FOMC report. With inflation figures retracing on both sides of the Atlantic, it was not a huge surprise to see gold prices dropping $10.5 to $1,230.6 yesterday. However, considering the bigger picture, the precious metal is still trading still within the sideways range seen over the last few weeks around the $1,230 mark. A weaker dollar, coupled with a rebound in US equities, drove the energy complex higher yesterday, with WTI crude regaining $0.64 to $97.20. However, the outlook remains murky, especially when the US Energy Information Administration predicted that oil output could reach a record by 2016 due to extra supplies from shale formations. 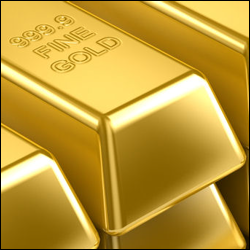 The gold market posted a small rise of $3.2 to $1,241 yesterday after a brief intraday cross above the $1,250 mark. Precious metal investors were not too impressed by the rally in equities or a slumping dollar and decided to wait for the FOMC meeting to make their next move. The short-term trend in crude oil changed direction on Friday, turning south as US crude lost $0.83 to close at $96.49 per barrel. Energy investors moved to the sidelines on a combination of a surprise rise in product inventories, a stronger US dollar and growing concerns about the plug being pulled on QE. Despite signs that inflation is not likely to rebound significantly any time soon, investors discarded a stronger dollar and pushed gold prices $12.2 higher to $1,237.3. The precious metal looks to be in a consolidation range around current levels, with a choppy trading outlook for the week ahead.